What every Fort Worth driver wants to prevent: an overheating car! Stranded in Fort Worth with an overheating car? It’s summer in Texas and we have one adjective to describe our weather: HOT! In fact, the extended forecast for Fort Worth has an average daily high temperature of 101 degrees! This level of heat is not kind to you or your car! Overheating is a legitimate problem we have to prepare for in order to avoid. The damaging impact of this summer heat to your car is cumulative! And as the thermometer rises in Fort Worth, we recommend you take the following precautions to prevent your car from overheating. Check the fluid levels. It’s especially important that your car have the proper amount of coolant. If your vehicle is a recent model, it most likely has a plastic reservoir for the coolant. It is usually found connected to the top of the radiator. Fill it with coolant to the indicated level. Check the cooling fan. If your vehicle’s engine has a belt-driven fan with a fan clutch, it’s important to know that the clutch is in good condition. If the fan clutch is worn, it might lead to your car overheating. Change the oil. By getting rid of the used, dirty oil and replacing it with fresh oil, you will provide a greater protection for your vehicle’s engine. Check belts and hoses. 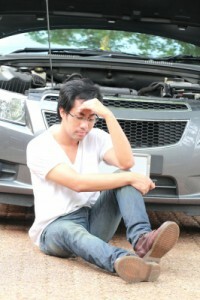 A worn belt or leaky hose, although small, can create havoc, resulting in your car overheating. If this isn’t down your alley, or you just simply don’t have the time, trust B&M Auto Specialists with your hot weather preventative car care. The temperature is heating up in Fort Worth. Don’t delay. Call now to schedule your preventative maintenance appointment.